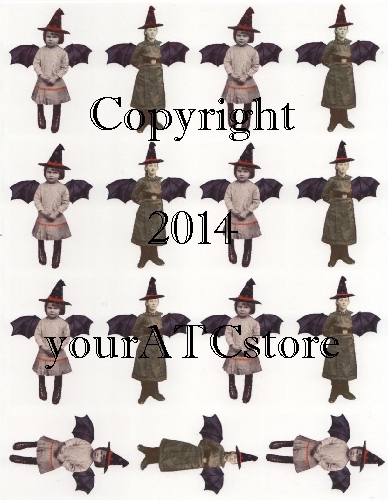 yourATCstore Halloween Little Witch Girls Collage Sheet. I created this collage sheet for our October 2014 ATC kit of the month and have the images now available for you to purchase. 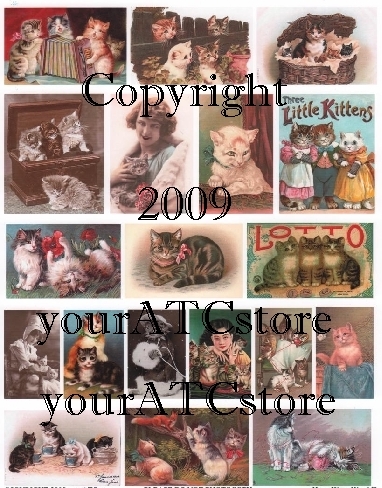 They are the perfect size images for your Halloween ATCs and other Halloween cards and projects. This matte finish collage sheet is professionally printed and comes in a crystal clear bag for protection. Each collage sheet measures 8 1/2 in. X 11 in. and is acid free.